An audiophile is a lover or enthusiast of music or sound. Audiophile headphones cater to their audience with ultra-high-fidelity playback and a listening experience best described as “luxurious.” We wouldn’t recommend you take your pair of audiophile headphones on the subway — they’re simply too much of an investment to risk them getting damaged or lost. So then, what is the ideal time and place to use audiophile headphones? That depends on your tastes, but we’d suggest the home as the best place to enjoy music through your audiophile headphones. Plug them in to your hi-fi system, put on your favorite record, and experience that classic album like it was the first time you’d ever heard it. Or take in a concert film by your favorite band and become part of the crowd. Watching a movie with audiophile headphones will bring out every detail — it’s an experience sure to give you a new appreciation for the sound design category at the next Academy Awards. 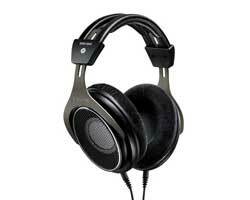 Below are some frequently asked questions about audiophile headphones. Click a question to see its answer. Got a question of your own? Leave it as a comment below! 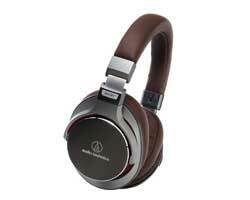 What is the best device to play music on with audiophile headphones? To get the most out of any pair of headphones, you’ll want to listen to them on a device dedicated for music playback. A/V receivers and home stereo amplifiers are favorites among the hi-fi crowd, because they provide dedicated sound processing. Audiophile headphones also make solid choices for practicing silently through a guitar amp, since they’re able to capture harmonic subtleties. What media or file format is the best for music playback with audiophile headphones? We won’t get into the analog vs. digital debate here, but it’s generally accepted that physical formats and uncompressed digital files sound better than a compressed format like MP3. Playing a CD or vinyl record through a quality audio system will give you the best representation of the music the way the artist intended it to sound, and audiophile headphones will deliver that sound to your ears with utmost clarity. Uncompressed file formats like WAV or AIFF, and lossless formats, such as FLAC files, are good options if you don’t have a physical copy, while MP3, AAC and other lossy compression formats are efficient for file size, but can negatively impact sound quality. What is a headphone amplifier, and what is a DAC? Do I need these? Headphone amplifiers do just what their name implies: they amplify the signal feeding your headphones, making them louder. Headphone amps are often used in the studio, where performers use them to monitor themselves while recording, but using them for personal listening can yield benefits too. For example, if you’re using a pair of headphones with high impedance (resistance), you’ll want a headphone amp that can drive your headphones at a proper level. Most consumer devices like smartphones have low-power DACs (digital-to-analog converters) — which means a smaller, lighter phone for you, but less power to drive your headphones. In cases like this, an external DAC or headphone amplifier can give your signal the boost it needs to drive your headphones at a suitable level. In certain cases when a pair of headphones has a particularly high impedance, a headphone amplifier is nearly a must to be able to hear audio from most 1/8″ outputs like those on a phone or laptop. Audiophile headphones tend to be higher impedance than most other types, so be sure to consider impedance before purchasing. 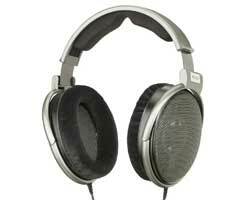 Audiophile headphones vs. studio headphones -- what's the difference? On audiophile headphones, you’ll find luxurious touches like fine leather ear pads, neodymium drivers, and chassis made of rare woods. Studio headphones, on the other hand, tend to be more practical and utilitarian. However, many pairs of headphones can cross over from one category to another, and a great pair of reference headphones — that is, headphones designed for natural, accurate sound reproduction — can serve you well either in a recording session or in your hi-fi listening room at home. When comparing headphones, knowing the terminology can help you sort through models to find exactly what you need. Here are some terms relevant to audiophile headphones. These headphones feature a seal behind the drivers, yielding a sound that helps lower frequencies and mids come to life. Because of this, closed-back headphones are a good option for commuters or those who wish to block out some outside noise. Although they deliver better isolation than open-back headphones, they’re generally not quite as accurate-sounding. Open-back headphones have an opening behind the driver (usually covered by a grille) that allows some of the sound to pass through the sides. 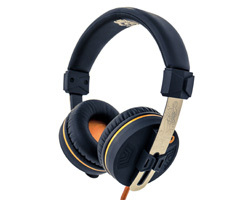 Open-back headphones are known for their crisp high frequencies, accurate sound, and wide soundstage. They are best for private listening or monitoring, but beware when using them to record with microphones — they are more susceptible to headphone bleed. Semi-open-back headphones have partially exposed drivers and yield a blend of the benefits and challenges of open- and closed-back headphones. Headphone bleed occurs when sound escapes through headphones during recording and gets picked up by a microphone, leading to unpleasant, unwelcome sound appearing on the track. The spectrum of sound a pair of headphones can reproduce is known as its frequency range, which is denoted in Hertz from low to high (ex. 20 Hz to 25 kHz). The range of human hearing is generally known to be 20 Hz to 20 kHz, in young people, and it is often debated if whether or not headphones with a frequency range beyond the range of human hearing yield benefits to the listener. Impedance in headphones measures the resistance of their circuitry in ohms. Listen to two pairs of headphones, one with higher impedance than the other, at the same volume, and you’ll find that the headphones with higher impedance tend to sound quieter. This term refers to the audio picture a pair of headphones create for the listener. A soundstage described as “wide” or “large” means that space can be felt between instruments in the mix, and audible sounds are clearly distinct. Listening to music through a pair of headphones with poor soundstage might make a track come across as compressed. Headphone drivers are magnets in each earpiece that convert the electrical signal to sound. 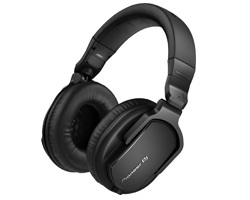 The size of drivers corresponds with the size of the headphones, and larger drivers tend to be able to reproduce lower frequencies with greater accuracy. Not to be confused with active noise cancellation, noise isolation occurs when headphone ear pads help to block outside noise from your ears. Closed-back and over-ear headphones typically are more effective with noise isolation than open-back and on-ear headphones. 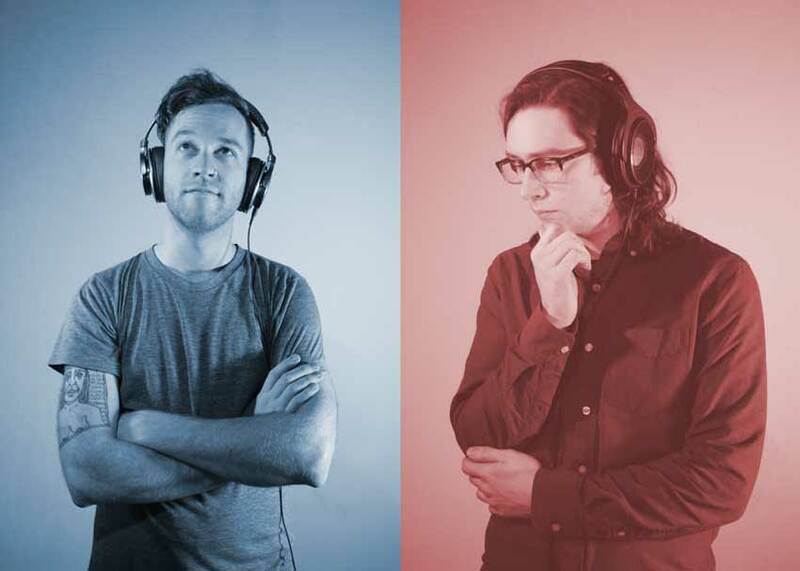 Drummer isolation headphones are especially adept at blocking out noise, even from loud sound sources. 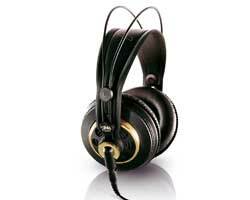 Audiophile headphones are available in a wide array of price points. Here are a few of our recommendations for three price levels. True, audiophile headphones have a higher entry price point than other headphones, but if you’re on a budget, don’t fret — you can still get great sound through audiophile headphones for less than $150. AKG K240 Studio headphones provide some of the best value we’ve seen — they’re semi-open-back for an airy sound and feature a super-comfortable self-adjusting headband for long sessions. Pioneer’s reputation may lie in high-end DJ cans, but its HRM-5 Professional Studio Monitor offer an uncolored response at an incredible price point. 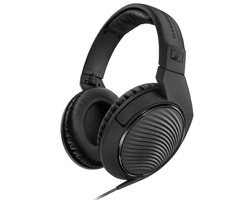 Not to be overlooked, Sennheiser HD 200 PRO headphones carry the precision Sennheiser’s studio line is known for, in a streamlined, budget-friendly pair. Spend a bit more, and you’re right in the sweet spot where audiophile headphones start to really shine. Delivering excellent sound through their 45mm drivers with incredibly light voice coils, Audio-Technica ATH-MSR7 SonicPro headphones also bring a nice touch of stylistic flair. 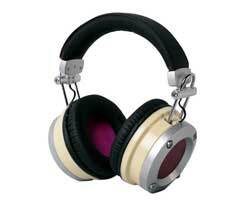 If you do some mixing on the side, consider Avantone’s MP1 Mixphones. These unique closed-back headphones offers neutral, flat response in both stereo and mono, plus a “mix” mode that boosts the mids, helping you hear the most critical parts of a mix. Entirely unique, Orange’s O Edition headphones showcase some breathtaking custom appointments and back up the bling with a neutral, accurate response. Welcome to the high end, ladies and gentlemen. Here you’ll find premium appointments, thoughtful add-ons and of course, immaculate sound. The open-backed designs of the highly acclaimed Sennheiser HD650s help to ensure crystal-clear high-end reproduction. Likewise, Shure SRH1840 headphones get a crisp tonality courtesy of their exposed drivers. You’ll be able to wear these for hours, as the very little pressure they put on your head is nullified by their velour ear pads. 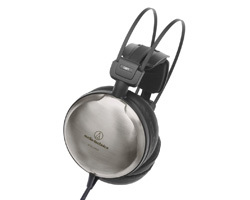 Audio-Technica utilizes titanium in the housings of their ATH-A2000Z headphones, along with a magnesium alloy baffle to reduce unwanted resonance.